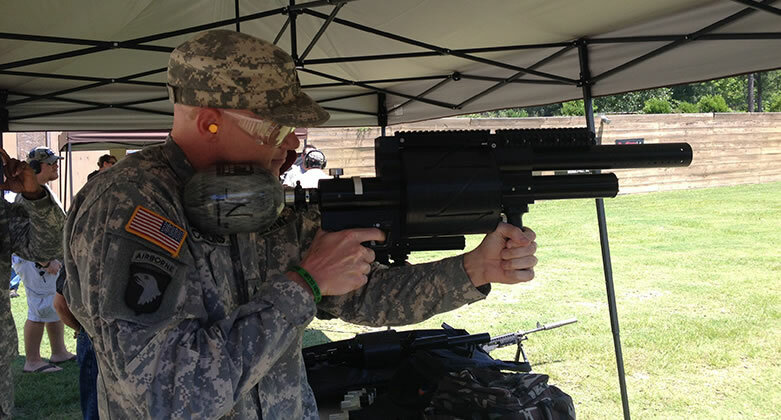 Eclipse Defense Technologies has developed a product line of large bore air guns capable of varying the shot to shot projectile velocity based on input from a fire control computer and integrated laser range finder. This technology offers a safe alternative to current riot control weapons by automatically maintaining less-lethal impact forces regardless of target range. © 2019 Eclipse Defense Technologies. All rights reserved. Fill out the form below, and we will process your request and get back to you as soon as possible.